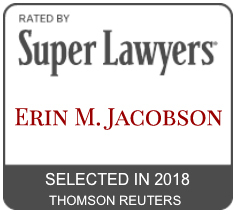 Who Erin Works With - Erin M. Jacobson, Esq. Musicians, composers, and music industry professionals in the rock, pop, singer-songwriter, and country genres needing a trusted attorney on their teams to protect their interests and advise them on business decisions affecting their careers. Musicians, musical artists, and performers who have been offered or presented with recording, music publishing, producer, management, touring, endorsement and other contracts that they need reviewed and negotiated. Composers or musicians presented with composer agreements, music library agreements, or synchronization licenses they need reviewed and negotiated. Musicians and artists who need agreements drafted to protect themselves in their relationship with their co-writers, collaborators, producers, studios, managers and agents. Musicians and artists who need their intellectual property to be registered and properly managed, as well as to be set up with performance rights organizations and other royalty collection societies. Music producers and mixers who need contracts drafted, reviewed, and negotiated with the artists they produce. Managers who need contracts drafted, reviewed, and negotiated with the artists they manage. Independent record labels, music publishers, and other music related companies that need to structure their companies, as well as contracts with their artists drafted and negotiated. Filmmakers and producers, video game developers and producers, and app developers and producers needing music licensed for their film/game/app. Click the link for a more comprehensive list of Erin’s services. If you are an independent musician needing legal assistance but are not ready to hire an attorney, visit Indie Artist Resource.